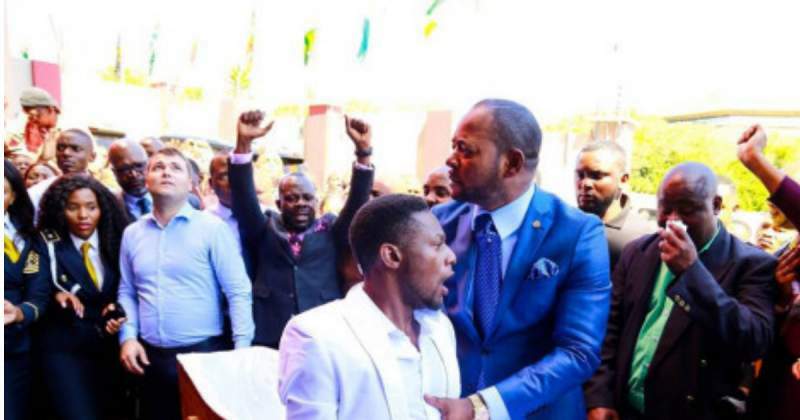 Pastor Alph Lukau targets Zimbabweans? An SABC show Cutting Edge on Tuesday night alleged that Pastor Alph Lukau's Alleluia International Ministries was hiring Zimbabweans to pretend to be sick or crippled so that they can stage healing miracles to boost the image of the church. The allegations come after a recent Zimbabwean man Brighton Moyo was involved in a controversial resurrection stunt at Lukau's church. SABC interviewed one lady who told the show that people agreeing to act as "cripples" could be paid R3,500 each. "They don't want South Africans … they want Zimbabweans because they're untraceable." She said. The ‘resurrected' man Brighton Moyo has since disappeared leading to speculations that he might have fled South Africa and came back to Zimbabwe. The show has rekindled the anger of some section of South Africans who are calling for the arrest of Lukau and the closure of the church or for Lukau to be deported back to the Democratic Republic of Congo where he originally comes from.